The “Carré collection” is inspired by the idea that geometry can sound and look as romantic as poetry. With this in mind, Elise Som created the Jaya I-Bench. Its' upholstered seat cushion with buttoned detail is padded with expanded polyurethane and Dacron. This simple, yet beautiful, design features bronze tapered feet and under seat storage covered in fabric. 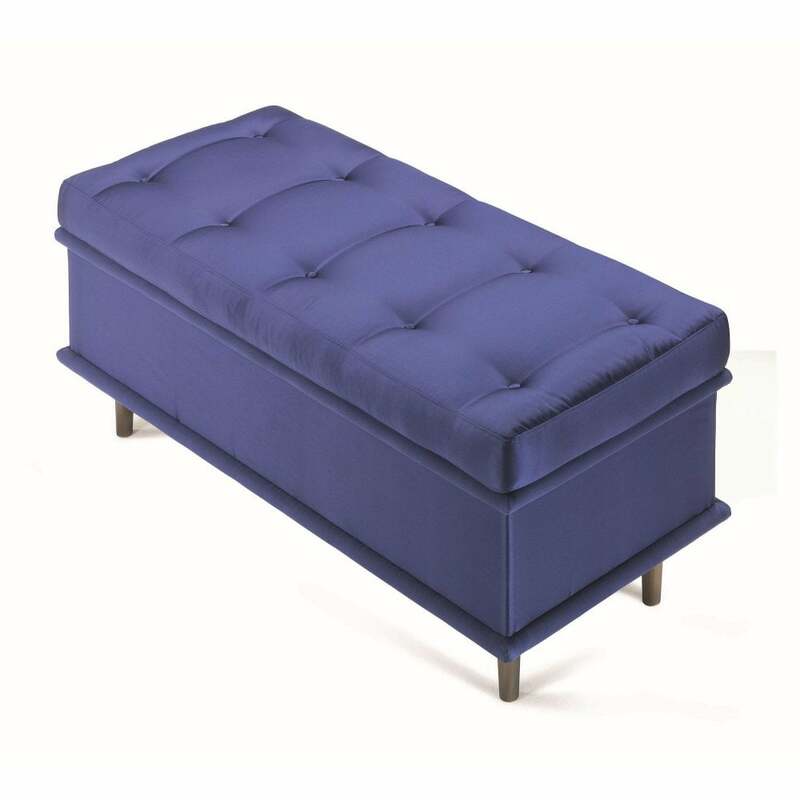 The Jaya I-Bench would make a luxurious edition to any bedroom or living space. The bright blue fabric works well with dark wood of complimentary furniture in the Jaya range and pops against warm tones of terracotta and ocher. Use to store nightwear, childrens toys, shoes or your favourite books.